In a world of technology driven change, the retail industry is adapting to rapidly changing consumer shopping habits. Today’s shopper, armed with their smartphone, Facebook account and favourite apps, have tremendous pricing transparency and continually rising expectations of convenience, choice and brand experience. This shift is creating a polarisation in the industry, with the most progressive retail brands growing rapidly, and those who have failed to respond to consumer expectations hitting the rocks. The stakes could not be higher with the potential to scoop billions in sales and profits by thrilling 21st century shoppers or alternatively, wipe out venerable retail brands with long and illustrious track records, but caught short by the pace and magnitude of industry change. Fashion and apparel retailers have been at the forefront of digital innovation. Online only pioneers like Net-a-Porter, Asos & Boohoo have benefited from a laser focus on consumers online behaviour and shopping requirements, leveraging social media to promote, creating outstanding customer experiences across devices, and combining a breadth of offering, speed of delivery and convenience to excite their paying customers. These brands have put social media and content front and center in their marketing strategies. ASOS, for example, leverages user generated content to create engaging experiences for customers (for example its #AsSeenOnMe), whilst Boohoo has dedicated a proportion of its growth to Instagram, encouraging celebrities and bloggers to post about the retailer’s clothes on the channel (read more ‘Integrating Social Content In Customer Journeys For Fashion And Apparel Retail’). 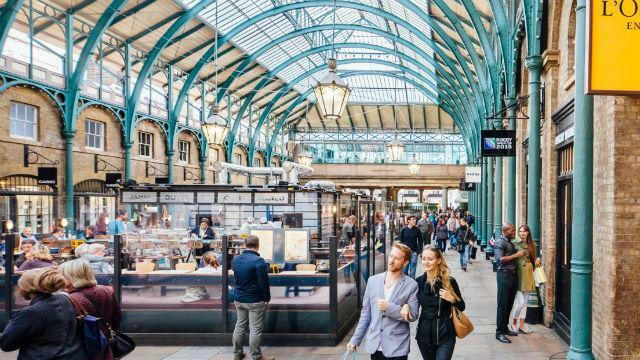 The freedom to focus on digital only, unencumbered by bricks-and-mortar, has clearly benefited these pure-play retailers relative to their traditional competitors. However, with offline sales still accounting for more than 80% of total retail sales in most markets, adapting the shopping experience in store is also crucial. Japanese brand Uniqlo, with more than 1,700 stores globally, offers free alterations within 24 hours for purchases of at least $20, to ensure any item purchased fits the customer the right way. 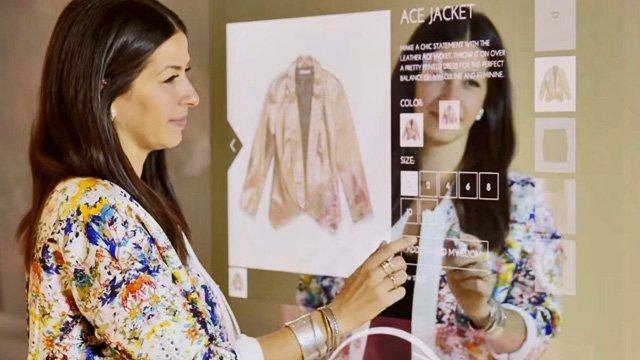 Luxury brand Rebecca Minkoff has fitting rooms with “smart mirrors” that allow shoppers to search for other sizes, or products that might go with what they’re trying on. In Health & Beauty, customer experience is where the sale is won or lost, where the brand comes to life, and where the seeds of loyalty are planted. Digital has become integral with YouTube makeup tutorials, beauty how to’s and the power of social influencers driving product adoption. According to Google beauty topics are searched 4 billion times a year and consumers rely mostly on social media influencers to make their purchasing decisions. Cosmetics giant L’Oréal recognized the potential of informative content and has invested to utilize this content throughout the customer journey, on all digital touch points to improve customer engagement & sales. L’Oreal’s embrace of technology to improve shopping experiences goes beyond content. Their smart hairbrush is an example of how the industry is exploiting the internet of things and embracing connected devices. This hairbrush analyses a customers hair type and provides insights on manageability, frizziness, dryness, split ends and breakage, recommending products accordingly (read about ‘How Progressive Personalization Is Reshaping The Health And Beauty Industry’). 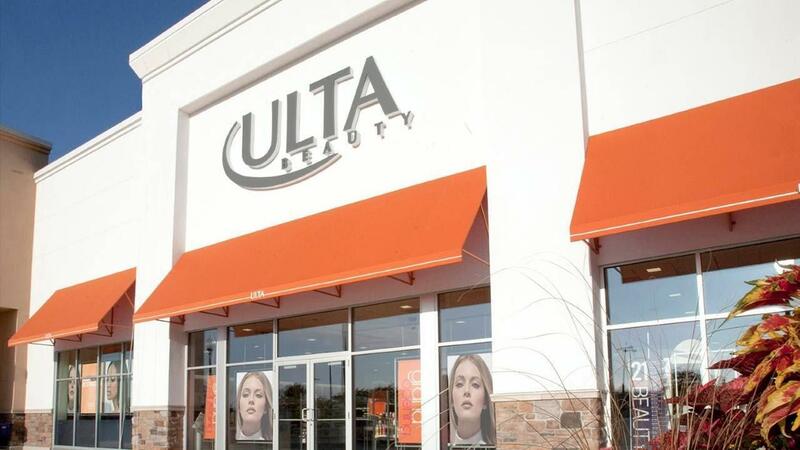 Ulta Beauty, a major beauty retailer in the US with more than 900 locations, is a good example of creating great experiences in-store. After sluggish sales in the early 2000’s the company transformed its in-store proposition, adding treatment rooms offering services from haircuts to Dermalogica facials and brow-shaping. Sales to Q3 2017 were up 18.6% year-on-year. Another example of focus on in-store experience is Harrods, the icon luxury retailer based in London’s ultra-expensive Knightsbridge. As part of a £200m revamp, Harrods is doubling the size of its Beauty Hall from one floor to two, spending to create lavish and memorable experiences for its wealthy customers. 90% of sporting goods shoppers visit a physical store before making a purchase (According to the National Association of Sporting Goods Retailers). 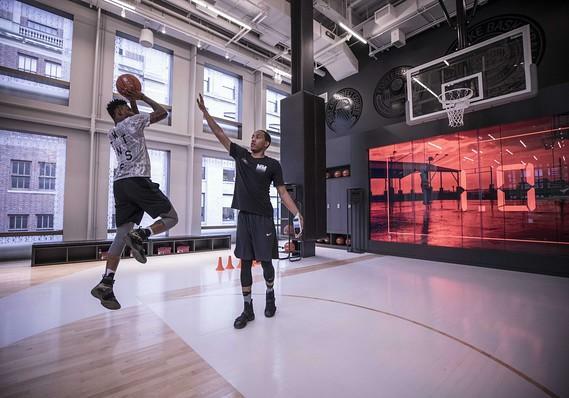 One brand pioneering memorable in-store experiences is Nike. The company’s New York City SoHo store takes customer experience to the next level with a shop floor dedicated to a small soccer pitch, a basketball court and treadmills. The environment allows shoppers to test out potential purchases in advance. The in-store basketball court even monitors your playing style and gives feedback on your game. Shoppers in the market for sporting goods want to know how they’re going to perform and feel. Therefore, developing an in-store experience like Nike’s can attract new, loyal customers to a brand. Meantime, Under Armour is using VR to share a sneak preview of forthcoming new store openings, creating anticipation, spreading the word and building future demand. Knexus is a real time decision making engine using AI & proprietary algorithms to match social, marketing and product content with dynamic user profiles. The platform optimises customer journeys in real time, improving conversion and sales.